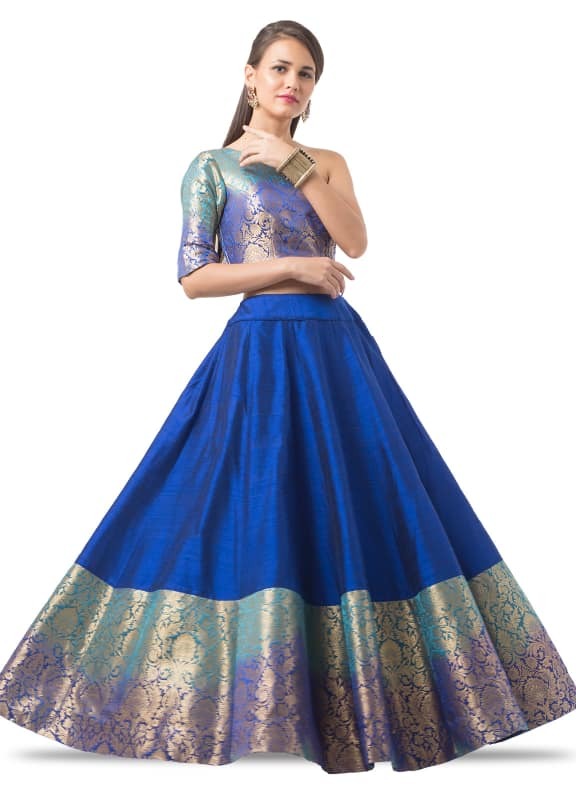 This blue lehenga comes with a one shoulder brocade blouse. 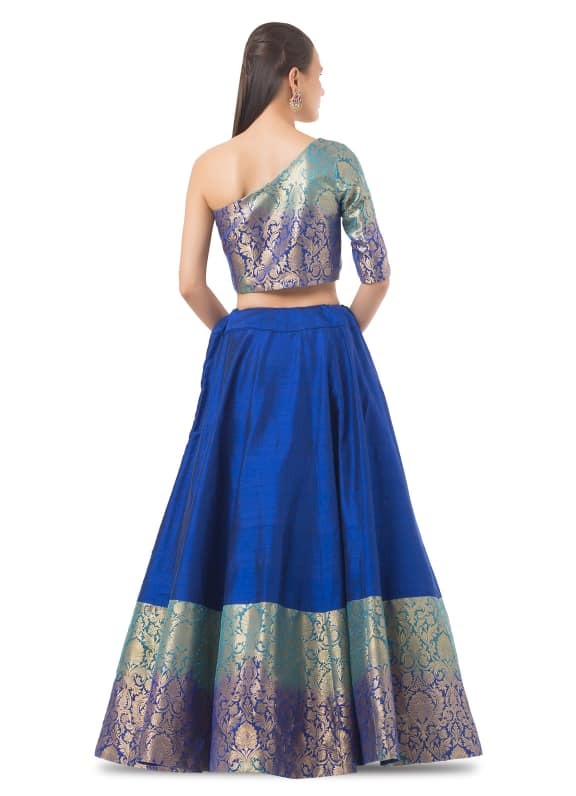 The ombre brocade skirt has a thick border and is paired with a net dupatta with circular sequins motifs all over. 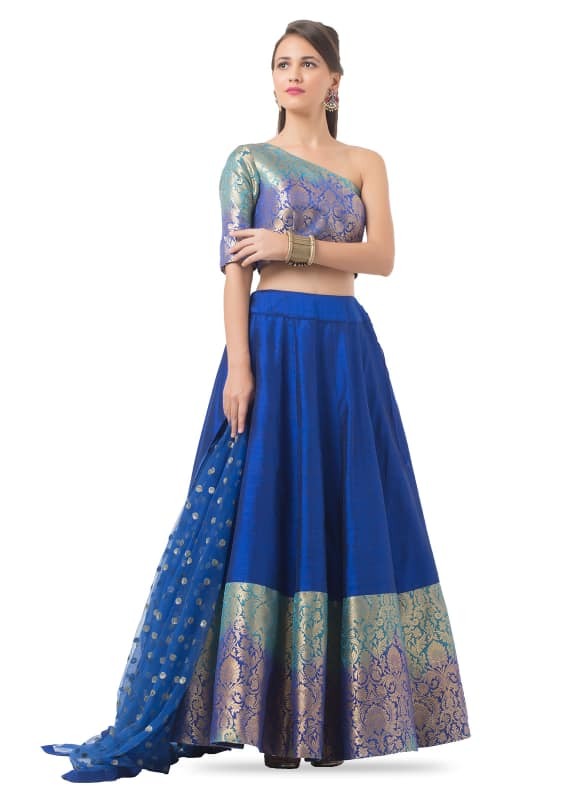 Stylish, beautiful and straight out of a Bollywood film, this brocade lehenga is the perfect outfit for a wedding or a sangeet-night. 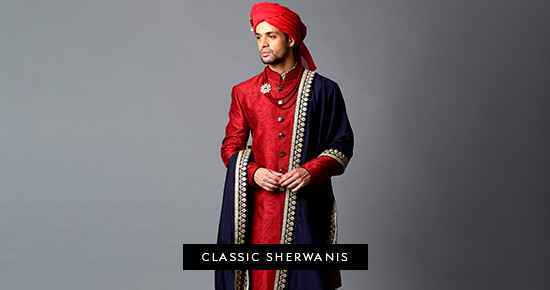 Style the look with a pair of earrings by Amrapali and a gold bracelet by Amethyst.